Did you know that spotty bananas are actually much sweeter and more delicious? They are the ABSOLUTE BEST for making smoothies, juices or THIS RECIPE! This recipe requires pre-cooked/CHILLED quinoa. Click here to learn how to cook quinoa. Want extra nutritious? Extra delicious? Add an extra teaspoon of RESTORE™ Chia for a thicker consistency and extra health! This recipe goes great with ANY fruit juice so choose your favourite. We hope you enjoyed this SUPER nutritious, SUPER delicious breakfast/dessert/snack. 1) In a blender, add the banana and strawberries. 2) Next, add the coconut oil and honey. 3) Finally, add your favourite fruit juice and mint leaves. 4) Blend for 10-15 seconds until all the fruits and ingredients are blended together. 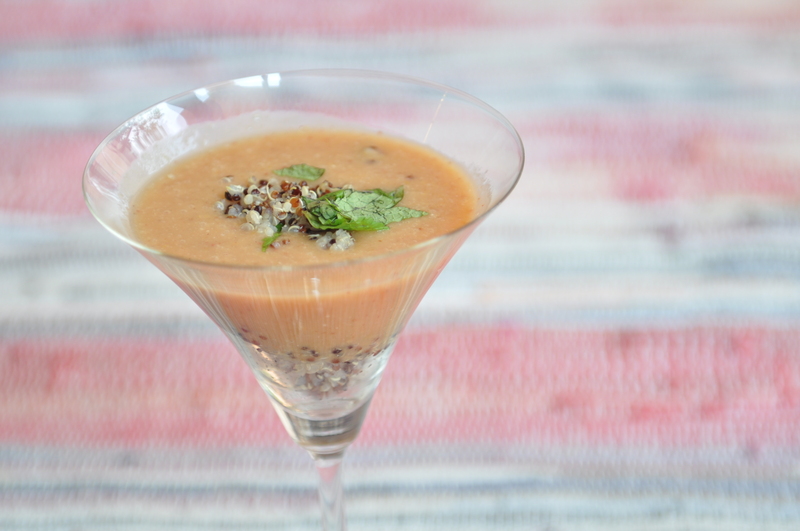 5) Get your dessert glass and add as much chilled quinoa as you want. 6) Pour the Fruit-Asia mix over the quinoa until the chilled quinoa is fully covered. 7) Garnish with mint leaves. 8) Grab a spoon and serve. TIME TO ENJOY! !